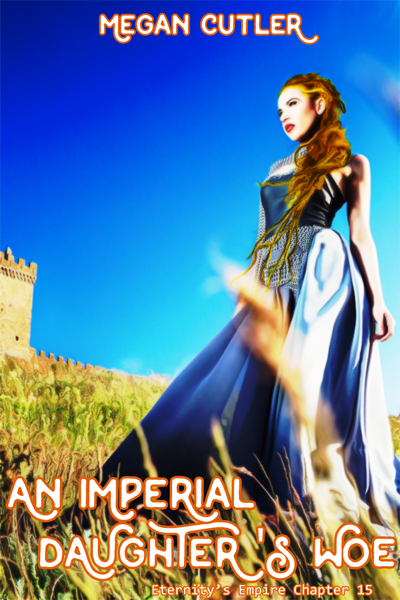 Aeternitas promised to protect Earth and its queen from the looming threat of imperial war. But with her magical focus broken, and access to her fancy technology cut off, her chances of fulfilling that promise dwindle rapidly. Her only remaining hope is to contact her mother, the enigmatic Empress Aion, and she can only do that by borrowing the Earth queen’s power. Luck, it seems, is not on her side. Even if she can contact her mother and set things right, one insurmountable obstacle still lies in Aeternitas’s path: her terrible sister Ananke. Aeternitas’s guardians have already proven that Ananke has been interfering with their duties, possibly for years. But what lengths will the jealous imperial princess go to in order to get her way? Aeternitas better think of a way to outsmart her, because if Ananke reaches Earth, Aeternitas will be doomed to break her oath.